Purdy High School Communication Arts Teachers and National English Honor Society Co-Sponsors Michelle Hilburn and Kayla Branstetter recently attended the National Council of Teachers of English conference in St. Louis. While attending the conference, Hilburn and Branstetter presented with a small group of professionals from across the country. Their presentation focused on the advantages of starting and advising a National English Honor Society chapter in schools. 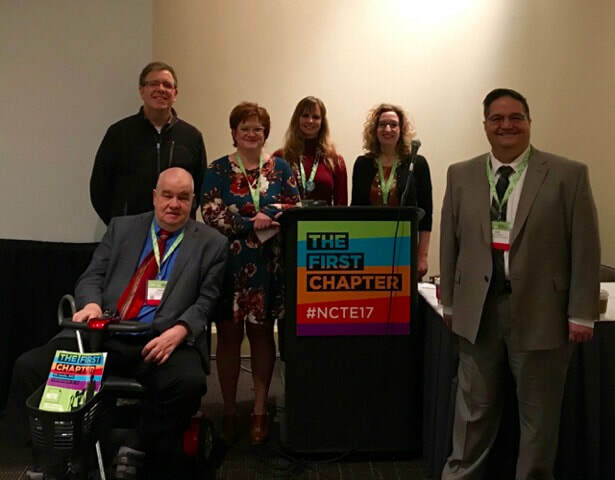 The small group is pictured from left to right: John Manear, Seton-La Salle High School, Pittsburg, PA; Warren Bowe, Chippewa Falls Senior High School, WI; Stephanie Robertson, Smithville High School; Kayla Branstetter, Purdy High School; Michelle Hilburn, Purdy High School; and Kenneth Lopinot, Pattonville High School, Maryland Heights.